The Vehicle Modernization Scheme is an ongoing scheme that has been designed by the government with an overall objective of controlling the pollution level in the country. The discussion over this particular scheme has been going on for a long time, and many modifications have been made on it. Now finally the basic scheme rules have been announced. In this scheme the vehicle owners will be encouraged to give up their old polluting car and buy new one, for which they will be given incentives by the government. The first phase of the scheme has been rolled out and here are details about it. The main objective of this scheme is to control the pollution levels in the country and to push out around 28 million, more than 11-year old vehicles from the roads. The government of Indian has been trying its best to control the pollution and has been coming up with different. So with this scheme the government wants to get rid of the vehicles that are old and are one of the major cause of road pollution. The focus would be on controlling and then reducing the emissions and to get rid of old fuel and polluting vehicles. In the first phase of the scheme only the commercially used vehicles will be considered for incentives. This means that people who replace their old commercial vehicles with and buy a new one, will get benefits and incentive. The first phase of the scheme will not include personal vehicles and two-wheelers. Under this scheme the people availing replacement option will be given tax benefits and discounts on their new buy. The scheme would try its best to create an environment in the country where people voluntarily give up their old polluting vehicle. But to give it a kick start the government have to give some incentives and benefits to the people. The price of the new vehicle is a major concern here, and the automobile companies are not in a position to reduce the price, so they have been suggested to stop their regular discounts and give the discounts under this scheme. In the first phase of the scheme the main focus would be on heavy vehicles that would include trucks, buses, tempos, etc. reports show that these vehicles are the reason behind 60% of the vehicular emissions which pollutes the air. It has been announced that for at least the coming two or three year, the focus would be on heavy vehicles. Until then there is no plan of giving incentives on the replacement of old two-wheelers and other personal vehicles. It was also announced that the government is working on ways to issue tradable certificates. This is being done as in most cases the commercial vehicles change have two or three change of owners. So a tradable certificate could come handy so that the incentive could be given to the last owner of the old and scrap truck or bus and give subsidy to the first owner of it. This will encourage many commercial vehicle owners in surrendering their older vehicle and bring up a vibrant trade situation. The vehicles that have been brought before March 31st of the year 2005 and the vehicles that have emission standards below BS IV will be considered for the incentives under this scheme. These vehicles would be scrapped and a replacement offer will be given with discounted rates. 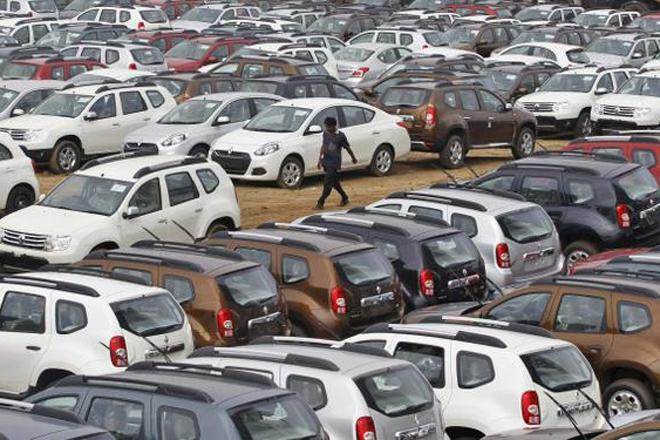 The incentives would include a proper value for the scrap, and a 50% of the excise duty rather than the full for the new vehicle, and few other discounts from the buyer. On an average these benefits, subsidies and incentives would reduce the price of the car up to some 10 to 12%. Apart from this the government has decided to give a full on exemption from the excise duty for the state transport buses. This will encourage the operators of the state buses to buy and operate better and higher capacity buses which will attract more passengers as well. With the help of this scheme there will be around 28 million old and polluting vehicles out of the street, thus reducing pollution up to a notable level in the county. With so many old vehicles being surrendered, there will a lot of steel scrap in the county. Reports say that with scheme there will be around Rs.11500 crore worth steel scrap available in the country. This will reduce the import cost of the steel from other countries and save a lot of money. With this scheme that will be an estimated 17% reduction in the Carbon Monoxide emission, and 18% reduction in the HCNOx emission. The scheme would be beneficial for the consumers as well. The consumers will get a new vehicle at a good discount. Apart from this the manufacturers of automobile would also benefits the scheme would encourage sales of the new vehicles. From the time this scheme has been revealed to the public, it has received mixed reviews from the consumers and the manufacturers of automobiles. Though many feel that it is a good scheme and has useful features some are the view that some modification could be made to the scheme features. There are many transporters who are bringing up the fact that instead of replacing the vehicles the scheme should push for replacing the engines of the older vehicles. It is being said that since lowering the pollution level in the country in the main objective, the government can promote to replace the engines of older vehicles rather than replacing the whole vehicle. But as of the government is keen on going ahead with the existing scheme features and wants to see how this works in reducing pollution.